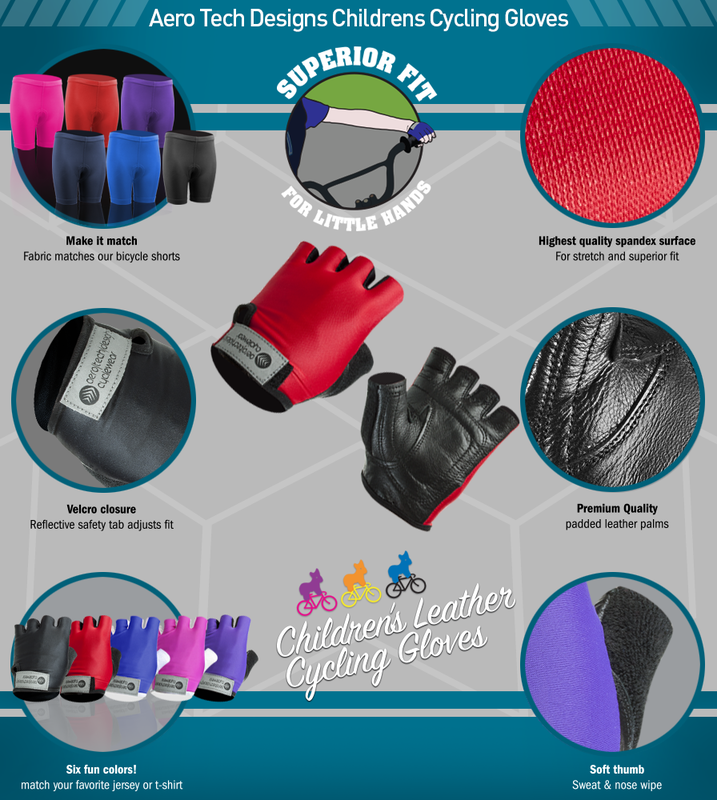 Premium Quality leather cycling gloves with highest quality spandex surface for stretch and superior fit. 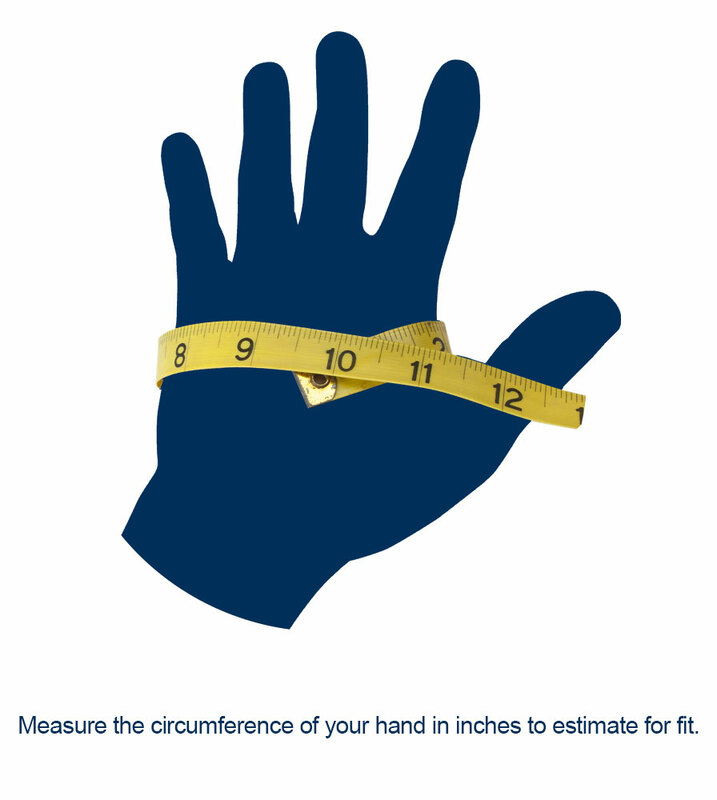 Finger-less gloves are ideal for active children. 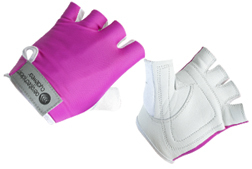 The gloves stretch and kids love them. 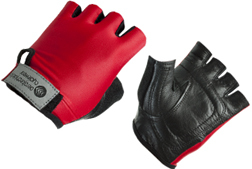 It has a reflective Velcro closure at the wrist that provides great fit for a wide range of sizes. Four child sizes offered. 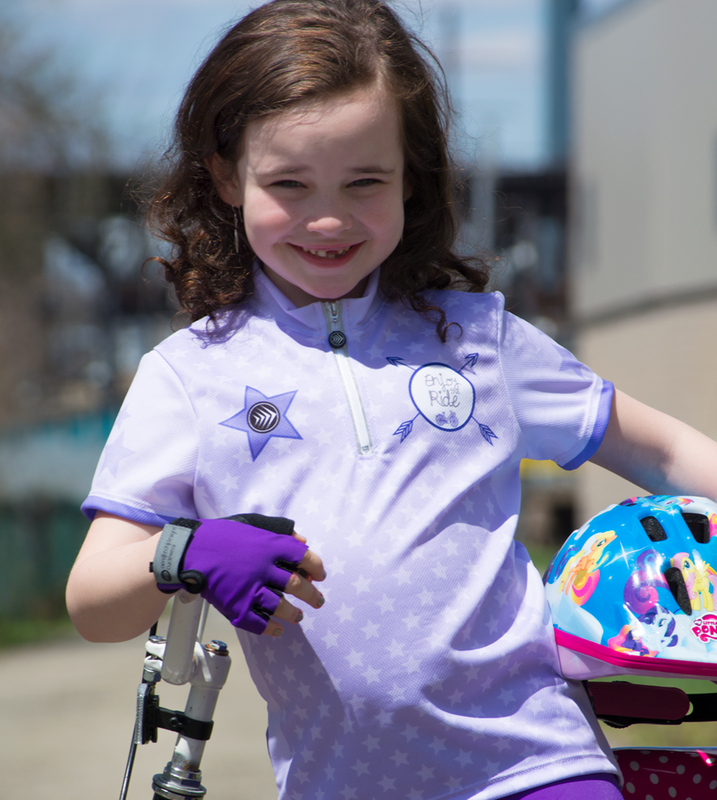 The colors and fabric match our Children's bicycle shorts and our bicycle seat covers. Colors are Blue/White, Black, Red/Black, Pink and Purple. 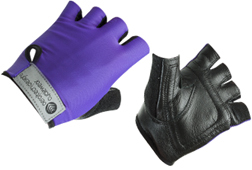 * Velcro closure provides great fit for a wide range of sizes. My little boy wears his gloves everyday and plays hard. They are very durable. 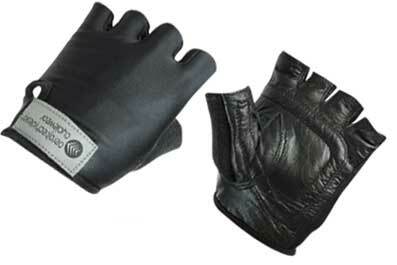 He says they are very comfortable and have good grip when he is climbing. My son really loves his gloves. He loves going back and forth on the monkey bars and prior to buying these gloves he had blisters. Now I can't get him off the bars! Ã°??? Purchased child size large for my soon to be 8 year old daughter. The gloves look great and fit great. Unfortunately neither of my daughters will wear them due to the odd smell from the black material on the palm side of the glove. Also not sure why they were made with this synthetic, vinyl like fabric because all other cycling gloves we've purchased over the years are soft and suede like on the palm. Would return if it wasn't a hassle. The gloves are nice, but I stupidly thought they would serve as Monkey Bar Gloves, to protect my granddaughters' hands from blisters. Unfortunately they don't work in this application, as they "slip". My 7 year old loves these. He wears them all the time just because he thinks they're cool. We ordered them in a large (size 6) and they fit great. My 7 yr old loves these for gymnastics, biking, and using his scooter. They're made well and exactly what I was looking for!! Thank you!! I got the gloves for my 4 year old who is in a wheelchair. I was looking for something that would keep his hand clean from constant turning of his wheels. He loves them and so do I.